An attempt to limit the use of foreign workers in the Bahamas came under renewed criticism after a U.S. citizen working at the country’s largest resort was briefly detained by immigration agents for having an expired work permit. The worker, a sea lion trainer at the Atlantis Resort, was questioned and taken away by agents as she led an exhibition for guests. She was quickly released, but the incident drew a rebuke from the resort, the largest private employer in the Bahamas. Officials said the woman, whose name was not released, had worked at the resort for about five years and had been waiting for months for her permit to be renewed. She was in a wetsuit in a resort pool for the exhibition on Tuesday, April 23, 2013, when two immigration agents appeared and demanded she immediately present her passport and work permit. Foreign Affairs Minister Fred Mitchell issued a statement saying he regretted how the incident with the Atlantis employee was handled and said her work permit had been resolved. 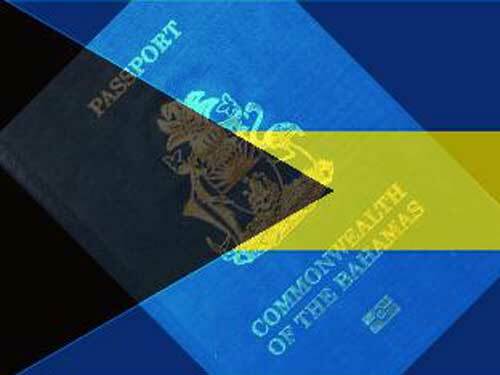 However, Mitchell defended the crackdown on work permits as a way to encourage more companies to hire Bahamian workers. The U.S. Embassy also said that it was closely monitoring the situation and that Charge d’Affaires John Lowell Armstrong met with officials at the Ministry of Foreign Affairs to discuss the issue. “We will continue to stress the importance of fair treatment in applying immigration and labor regulations,” the embassy said in a statement. Winston Rolle, former CEO of the Chamber of Commerce, said there are not enough skilled Bahamian workers available for the private sector. Again Fred Mitchell humiliates the country and his Xenophobia rears it’s ugly head. Wonder if everyone turned homophobic how would sissy Fred feel. Wonder what he was doing at night in Morocco as Marrakesh is well known for the boys for sale. Disgusted by the lack of vision to improve the country. “Wonder if everyone turned hobophobic…”? This is The Bahamas, mon! Most of the people already are homophobic. Could they be any more so? Congrats to Mr. Winston Rolle for speaking sense here on this island… too bad our politicians can’t take note and absorb some of that common sense for their own betterment and the country’s.